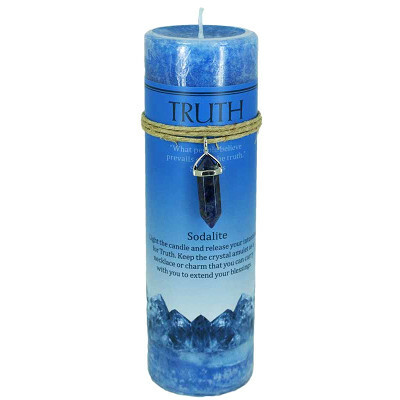 This magickally charged charged pillar candle has specifically been crafted to help you discover the true meaning behind any situation. The sodalite talisman accompanying it is charged to help invoke energies of wisdom and knowledge. 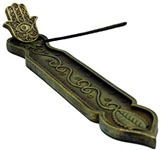 Light the candle and hold the talisman in your hand while focusing on your intention of truth. 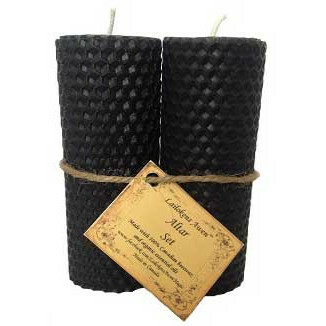 This pillar candle is handcrafted in the USA and measures 6 1/4" x 2".